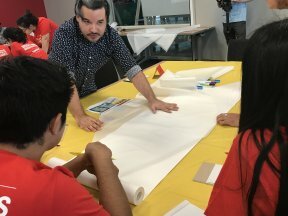 ComEd is shining the Solar Spotlight on Hispanic Heritage Month and engaging more than 50 local Latino high schools students to help design solar-powered fashion. 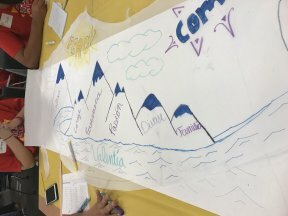 ComEd’s Solar Spotlight Program will bring together Latino students from a variety of Illinois high schools and non-profit organizations for a two-day immersion session focused on Science, Technology, Engineering Arts, and Math (STEAM). The Program will take students through live, hands-on solar demonstrations where they will learn about solar energy and solar panels. They also will learn about notable Hispanics in STEAM-related careers, and have the opportunity to construct their own solar-powered cells. ComEd engineers will serve as volunteer mentors to help students and Claudette Soto, founder of VAMOS, will talk to students about her STEM journey and creative ways to improve public spaces using technology. 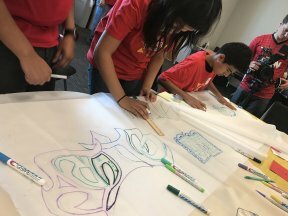 This year, ComEd has added the “A” for Art in STEM, making it STEAM and is exposing students to an art component in the program. The students will help Chicago fashion designer Ronald Rodriguez by placing their own created designs on a solar-powered dress and jacket. The two pieces will include solar-powered LED lights and also will also light up the runway at Latino Fashion Week on Saturday, Sept. 30. Later they will be on display at the Mexican Museum of National Art and the Puerto Museum of Art. To learn more about ComEd’s community support, visit ComEd.com/community.